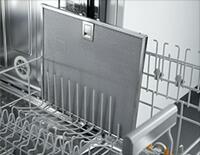 Miele ventilation hood(s) are equipped with a 10-ply dishwasher-safe stainless steelgrease filters. The top layers and filter frame are made of high-quality stainless steel. 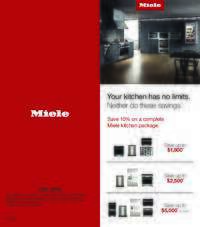 "When you conveniently clean the grease filters in the dishwasher, no visible discoloring will occur, and the Miele grease filters keep their high-quality appearance for a long time." LED ClearView Lighting is an optical highlight and environmentally friendly. 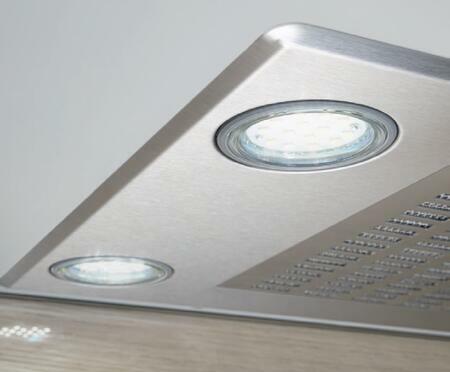 A Miele LED spotlight consumes only 3 or 4.5 W and thus saves a lot of electricity. 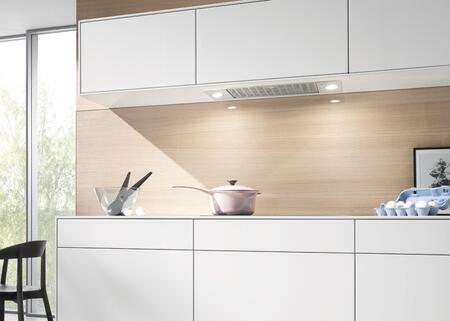 Miele LEDs illuminate the cooktop with a warm, natural and even light. The Booster setting provides very high air flow and is only intended for brief operation, for example, when heavy smoke or strong odors develop when food is burned. The Booster setting can be programmed so that the blower automatically switches back to Setting 3 after 5 minutes. This avoids unnecessary energy consumption. 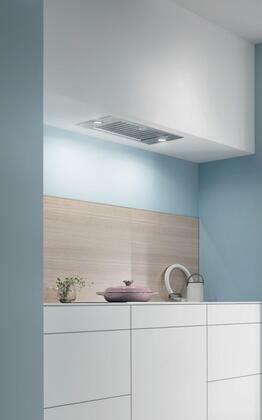 Almost all Miele ventilation hoods are developed at Miele's Arnsberg plant and are, for the most part, hand-crafted. and craftsmanship: our entire expert knowledge is poured into each and every ventilation hood, from development to the finished product. 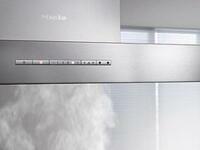 Miele ventilation hood canopies and towers are made from high-quality welded and polished stainless steel. Even from the outside you can see the quality of a Miele hood: Precise contours and precision joints are typical characteristics of Miele ventilation hood(s). 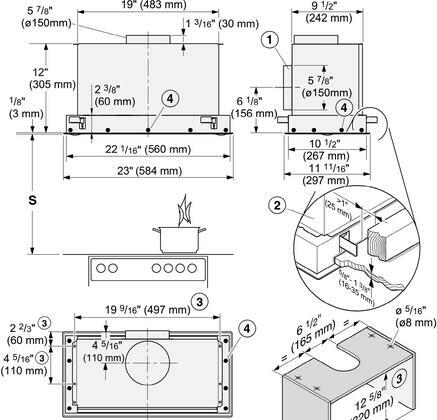 Enjoy perfect workmanship! Convenient access to light and power settings. LED lighting shines a more natural light to highlight the pure color and texture of your food, but also saves energy. 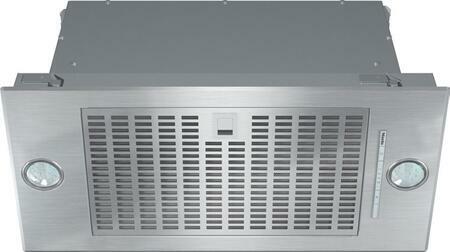 Ventilation Hoods contain a 10-layer metal grease filter. The covering and filter frame are constructed of high-quality stainless steel, and the filter itself can be run through the dishwasher without leaving any unsightly discoloration of the metal.